Enjoy nature at its finest at this Burgess Creek Townhome. 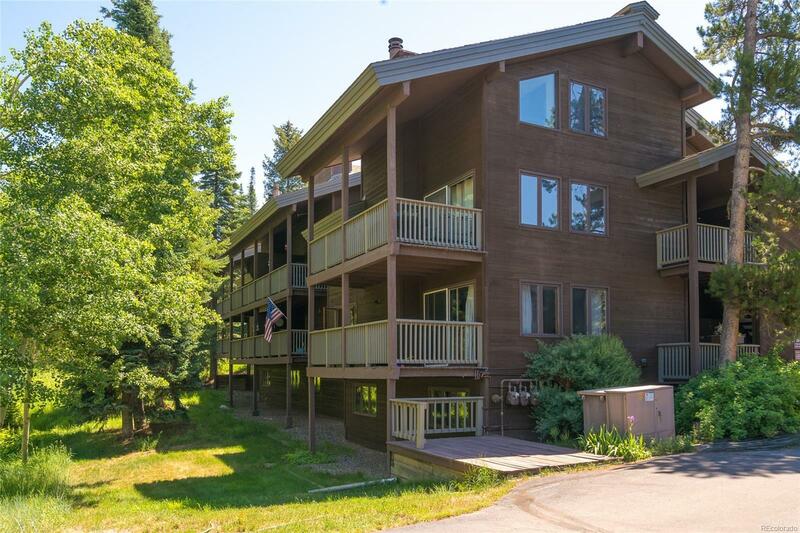 Nestled in the tall pine trees with Burgess Creek tumbling right outside, this 3 bedroom, 3 bath townhome is the prime location of the complex. Relax to the sounds of the creek in this spacious and bright top floor, end-unit boasting vaulted ceilings, extra windows, and a large covered deck looking over and up the creek. The private master bedroom is located on its own floor and includes a sitting area, storage room and a master bath. The home has been recently updated with new paint and carpet. There is parking for two vehicles with an attached, heated garage and an additional assigned carport. Propelling the desirability is a self-managed HOA with low HOA fees. Bordering 6 acres of open space, there is a National Forest trail head close by and the Thunderhead Chairlift just is just up the road, giving this property one of the most unique locations in Steamboat!